Pink Himalayan Salt is mined, not processed like regular table salt, which is why it retains its varying hues of pink. It is extracted from Mother Earth, from the great Salt Range of the Himalayas. 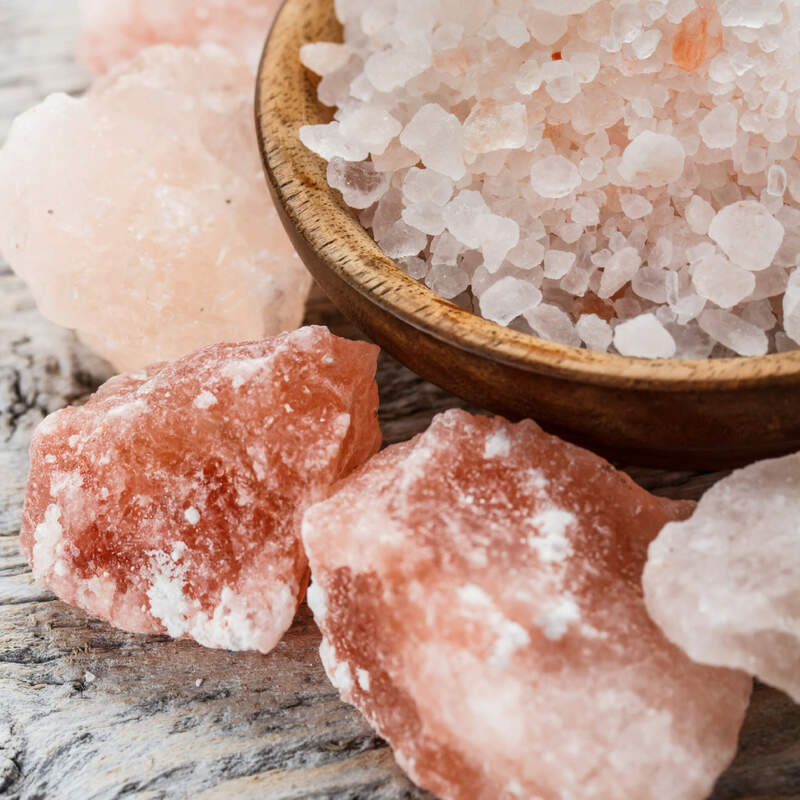 It is believed to be one of the healthiest salts, and the purest available because trace minerals are not stripped out of those gorgeous salmon-colored crystals. Those minerals are also what gives Pink Himalayan Salt its metallic taste on the tongue. Those minerals, like manganese, phosphorus, potassium, and iron are vital to our bodies. They balance fluids, help us avoid dehydration, aid digestion and add electrolytes, which better better brain and muscle function. As an ingredient in our clean, pure and beautiful haircare, Pink Himalayan Salt adds waves, body and structure to the hair, making it an essential ingredient for textural stylers and sprays.